Showing results for tags 'KH15', 'KH1.5', 'KH1', 'HD1.5', 'KHCoM', 'CoM', 'KHReCoM', 'ReCoM', 'Days', 'KHDays' or 'KHFM'. (Read OP) Let's try to name as many KH characters as we can! Hey there, everyone! It's me, Veemon, and I'm finally back, to kick, some, tail! with a brand new game! The objective of the game is for everyone to work together to name as many DIFFERENT characters from the Kingdom Hearts series as we can! From main characters, to heartless, nobodies, unversed, dream eaters, Disney characters, everyone that has appeared in Kingdom Hearts in some way. (This is excluding certain characters that only appeared on things such as the Chocobo on the Metal Chocobo keyblade, etc.) To keep it fair for everyone, and to make the game last the longest, let's limit it to one character per post. Also, if possible, try to avoid repeating characters, since the goal is to name as many different characters as we can. 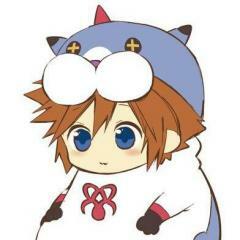 Let me start it off with our main character... Sora! Rock on! How many forms does Ansem, Seeker of Darkness have? Hey, everybody. So in order to get myself through this final agonizing stretch until KH3, I've been playing through the Kingdom Hearts games at random. I was just starting the final battle for Kingdom Hearts: Final Mix when I noticed something about Ansem's speech about Riku wanting to escape the Destiny Islands. I couldn't find a video of just this clip so the video I'm sharing is like 40 minutes, but the scene I'm referencing should start when you hit play. If not, it starts around the 2:12 mark: If you listen to what Ansem is saying about Riku wanting to leave the islands, it seems like the game may have intended to draw parallels between Riku and Young Xehanort while he was still living on the islands. All that stuff Ansem says about the island being a prison surrounded by water and how "this boy sought out to escape from his prison." Hasn't it been confirmed that young Xehanort felt the exact same way? I'm wondering now if more parallels will come up between the two in KH3. What do you guys think? Am I just grasping at straws or do you agree? QUIZ: How many Keyblades are there in KH1FM + KH2FM in total? 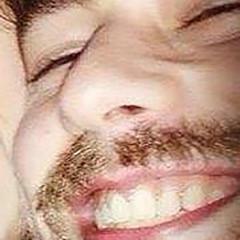 Hey guys. So I've been replaying the first Kingdom Hearts game for like the zillionth time to try and sate my desire for Kingdom Hearts III (with little success), and there's something this game had that no other entry in the series ever brought back: defensive aero magic. Aero magic in the first game was awesome! It greatly reduced defense taken and Aeroga was even able to deflect certain attacks. This made frustrating bosses easier and was a unique use of aero magic that I've never seen in any other video game, not just Kingdom Hearts. I was so disappointed when Kingdom Hearts: Chain of Memories came out and Aero had become an offensive spell, and was further disappointed when Kingdom Hearts II didn't include the spell at all. Then when 358/2 Days (and all the games that followed) had it, it was just another offensive spell. Honestly, it's one of the only legitimate complaints I have about the series' use of magic. Am I the only one who misses the defensive Aero magic from the first Kingdom Hearts? Or do you guys agree with me? Do you think they'll ever bring this back? What was the original hardest difficulty in KH1? The most difficult quiz yet. Kingdom Hearts series director Tetsuya Nomura has just announced that on Thursday October 25, at 3pm JST, patches for Kingdom Hearts HD 1.5+2.5 ReMIX and HD 2.8 Final Chapter Prologue collections will be released that will allow the sharing of blocked scenes on PlayStation 4. The announcement, made on the official Japanese Kingdom Hearts Twitter, has been translated below by Goldpanner. UPDATE [Oct 25, 2018]: The patches are live in the Playstation Store. Version 1.05 for Kingdom Hearts HD 1.5+2.5 ReMIX and Version 1.03 for Kingdom Hearts HD 2.8 Final Chapter Prologue can be downloaded. Both patches removes the share restrictions for certain cutscenes and the cinematic movies on both collections. 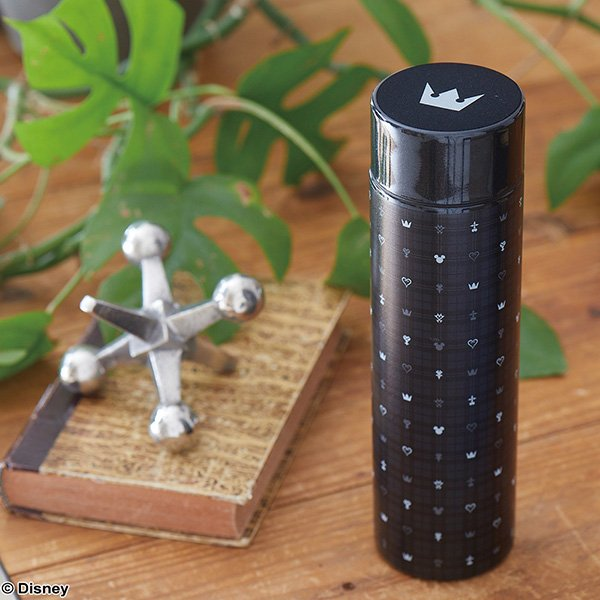 Square Enix has revealed yet another range of new official Kingdom Hearts merchandise. 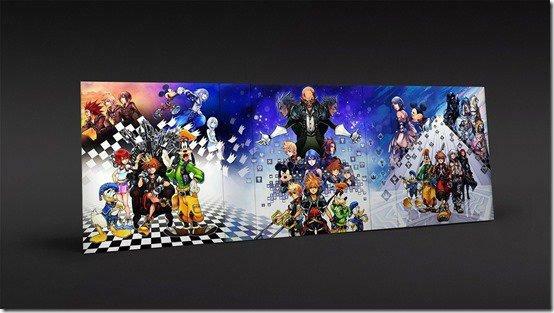 Ranging from bookmarks to a couch cushion pillow cover, all of these products are now available for pre-order at the Japanese Square Enix e-STORE. You can view each of the products below. Kingdom Hearts Clear Bookmark Vol.1 2 Set Kingdom Hearts II Clear Bookmark Vol.1 2 Set Kingdom Hearts World Sticker Set Kingdom Hearts II World Sticker Set Kingdom Hearts Rubber Magnet -Monogram Set- Kingdom Hearts III Stainless Steel Bottle Kingdom Hearts Vanity Pouch Kingdom Hearts Cushion Cover -Monogram- While these are currently Japan-only products, you can still pre-order the Cushion Cover, World Sticker Sets, Emblem Magnets, Vanity Pouch and more Japan-exclusive merchandise through AmiAmi if you live outside Japan but are still looking to spruce up your house with Kingdom Hearts decorations! AitaiKuji has opened preorders for these products as well, with a release date of December 2018. Kingdom Hearts HD 1.5 ReMIX is an HD remaster compilation, remastering Kingdom Hearts Final Mix, Kingdom Hearts Re:Chain of Memories and HD cutscenes of Kingdom Hearts 358/2 Days originally releasing on the PlayStation 3 in Japan (March 14, 2013), North America (September 10, 2013), Australia (September 12, 2013) and Europe (September 13, 2013). Kingdom Hearts 358/2 Days takes place after Kingdom Hearts and takes place alongside Kingdom Hearts Re:Chain of Memories, released on the Nintendo DS in Japan (May 30, 2009), North America (September 29, 2009) and Europe/Australia (October 9, 2009). Kingdom Hearts Re:Chain of Memories is an HD Remake of Kingdom Hearts:Chain of Memories originally released on the PlayStation 2 in Japan (March 29, 2007) and North America (December 2, 2008). 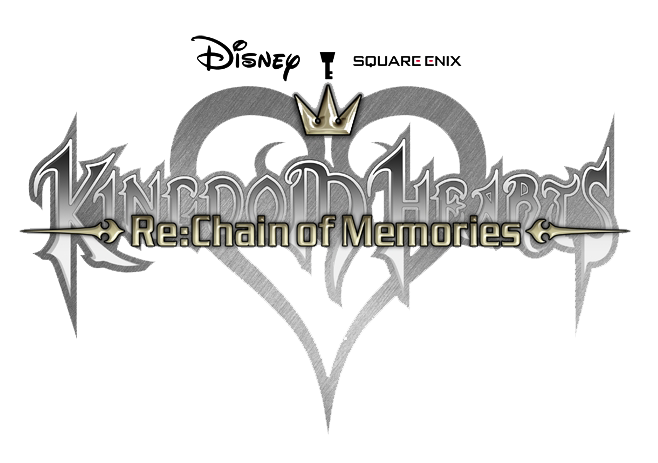 Kingdom Hearts Re:Chain of Memories would later then be released to Australia and Europe as part of the PlayStation 3 HD Remaster, Kingdom Hearts HD 1.5 ReMIX. 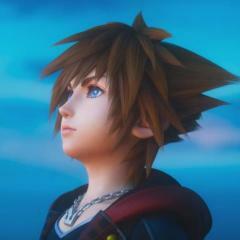 Kingdom Hearts: Chain of Memories is a sequel to Kingdom Hearts, released on the Game Boy Advance in Japan (November 11, 2004), North America (December 7, 2004), Australia (January 13, 2005) and Europe (May 6, 2005). It was later remade on the PlayStation 2 as Kingdom Hearts Re:Chain of Memories. Kingdom Hearts Final Mix is an upgraded version of Kingdom Hearts, originally released on the PlayStation 2 exclusively in Japan on December 26, 2002. It was later re-released to all territories on the PlayStation 3 fully remastered in HD known in a collection as Kingdom Hearts HD 1.5 ReMIX. Kingdom Hearts is the first game in the Kingdom Hearts series, originally released on the PlayStation 2 on March 28, 2002. I've noticed that there is a lot of hate from the KH community in regards to the card gameplay in both versions of chain of memories. However the purpose of this thread is different. I want all you to list and explain all the positive details about COM's gameplay in order to show how genius it really is. 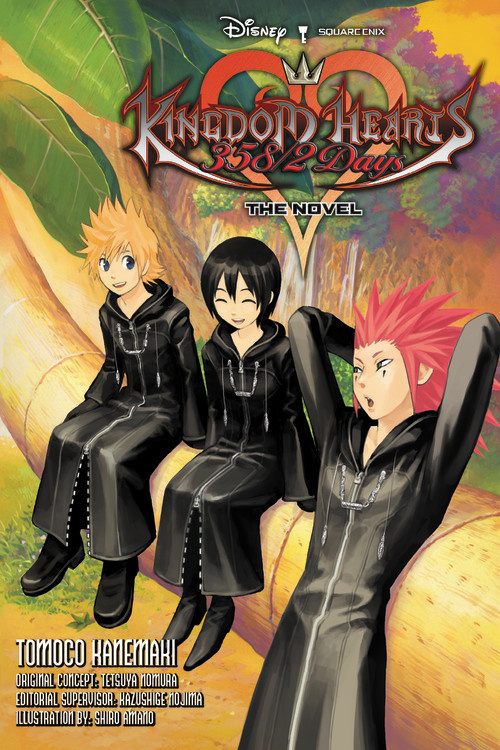 Kingdom Hearts 358/2 Days: The Novel is now set to release in the West in late November 2018, as revealed by publisher Yen Press. The localization of the light novel was first announced back in 2016; its original release was listed as June 2018, which was then delayed to November 13, 2018, and has currently been delayed again to November 27, 2018. The cover for the light novel has also been revealed. You can see it below. The novel is still available for pre-order; the paperback is available at Amazon, Barnes & Nobles, IndieBound, AAA Anime, Books A Million, and Indigo. Digital copies will be sold as well by Amazon, Barnes & Nobles iTunes and Indigo. Let us know if you'll be picking it up in time for Christmas!